Stuart Barnes has traveled to over 100 countries working with wildlife, and his passion for the canine species has enabled him to gain an incredible understanding of everything about dogs. 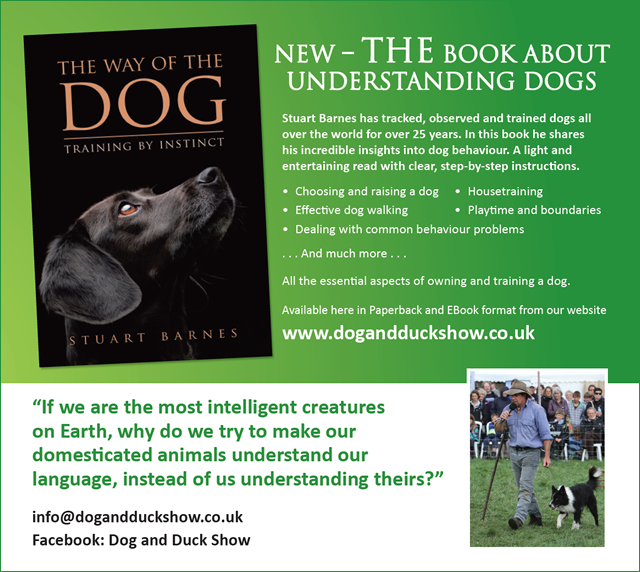 In countryside and corporate shows, Stuart and his team use trained and untrained sheep dogs to herd ducks, amusing and educating the audience about common dog behaviour issues and about how these can be resolved. The show demonstrates how untrained and poorly behaved dogs still have a programmed natural instinct, giving the audience a new understanding of the Way of the Dog. Put the fun back into any company away day or team-building event with the Dog and Duck show. Guests will be motivated and educated, and will be talking about the day long after they return to base. Working with the dogs and ducks in a relaxed and entertaining setting enhances communication skills and working relationships, while encouraging all participants to think outside the box to overcome new challenges. A really enjoyable experience that’s certain to boost spirits, and an event that can suit just about any type or size of party. 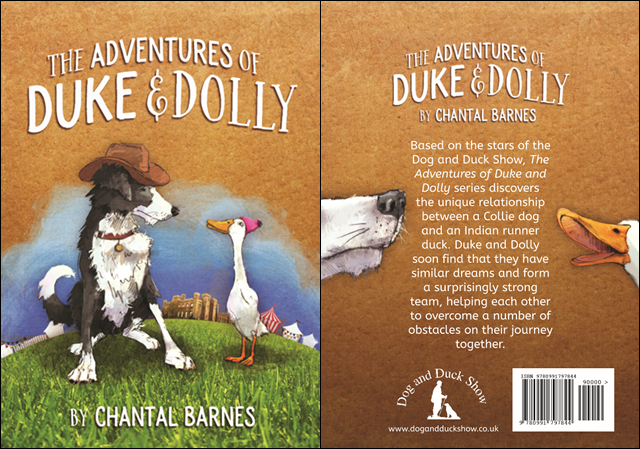 The Dog and Duck Show appears regularly on Radio and TV, and has been featured on BBC Countryfile Shows, Australian Morning Show and on the BBC Radio 4 Morning Talk Show. Hello We recently attended Countryfile Live where we saw your sheep show and dog and duck show. I found both very informative and funny which made it more memorable in fact for us your show was the highlight of the weekend. (we were there for all 4 days of the show) We have 2 rescue border collies and yes they do have a job - Agility. I'm not mega competitive but do train in my garden a little bit every day and so have happy dogs. 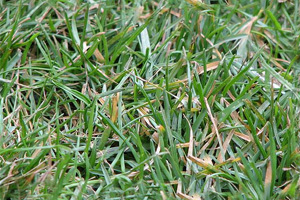 I have - had one problem with my youngest who before we rescued him didnâ€™t know what the sky or grass was. As he has gained confidence he has begun to pull on his lead - until now. You said turn to face them and use your energy. The first time I only had to do it three times and he was walking by my side on a loose lead. 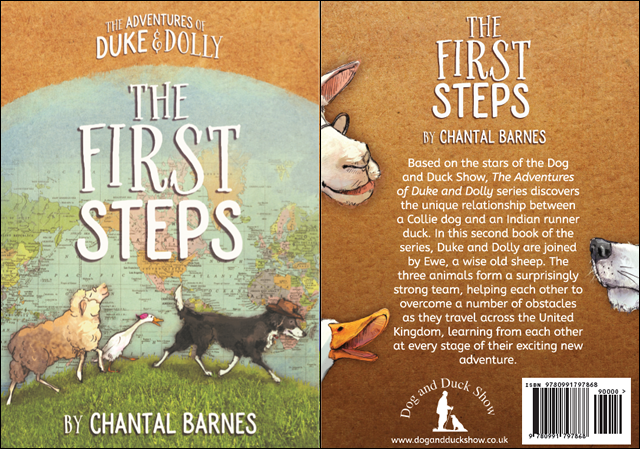 I have passed this snippet of information to a couple of friends who also have problems with pulling dogs, (it seems to be an agility thing) and have ordered your book to learn more. So thank you very much. Just wanted to say how much me and my two sons loved your dog and duck show at the Bath and West Show on Friday. You talk so much sense and watching you work the three dogs was a pleasure and joy to watch. You have such an understanding that modern dog trainers don’t have. I took on board your point of eye contact and being in front of the dog to positively correct a behaviour. I used this on a walk with my four dogs. They were all running everywhere, so I got in front and calmly got them all back and waiting, then turned and walked on and not one passed me till I released them; three Jack Russell’s and a Lab cross. One of the jacks is a nervous girl, only a year old, but always been nervous so I was always a jumpy owner. If another dog came near I would tighten the lead or pick her up, but now have tried keeping lead loose and got in front so she looked at me and let the other dog walk by. She was quiet and just concentrated on me with a loose lead, with lots of treat rewards. I have been to these so-called force free trainer, but none have ever been of any help, but your simple explanation made such sense and it works! Do you ever do training day as I would love to learn more as I have been looking for a course on behaviour but can’t find one that doesn’t start dogs don’t understand dominance and are not pack animals which seems mad to me. 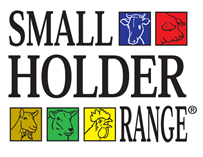 I have worked with horses, cows, sheep, pigs and bird and all need clear boundary and a strong leader to show them what’s right and wrong using body language and your voice. I have your book and hope to start reading it soon. Once again thank you for an amazing demonstration. Great to see you at Newark today, as always your shows are the highlights of the day. A fine balance of entertainment and education. After getting involved with your D&D show today my daughter in now in our back garden trying to teach our Schnauzer/poodle cross how to round chickens up. Have great season Mate, you're a top bloke. Dog and Duck Show works closely with The Sheep Show and Sheep Road Show. Packages are available, so please contact us with your requirements. ’Loved your show at the royal cornwall show yesterday! Really interesting and funny! Stuart and his Dog and Duck Show Team can present shows at more than one location on just about any date. Contact Us about any dates you’re thinking about and we’ll let you know how we can fit in with your plans.